We’ve all seen them. Those wonderful jellyfish displays at public aquariums. At least, I sure hope you’ve had the chance to see them. They are beautiful, graceful, soothing, and most of all super cool. Jellyfish tanks are a great conversation piece, a great draw for marine life, and serve as a perfect example of aquatic husbandry and success. Efforts to learn about jellyfish life, care, and requirements has now culminated with the ability for home hobbyists to keep, raise, and even breed these amazing animals. Jellyfish are a group animals within the phylum Cnidaria. Cnidaria is the phylum that contains “stinging animals” which use nematocysts to capture pretty. There are around 10,000 species in Cnidaria, nearly all living in marine waters. These animals morphologically develop into a sack within a sack. This body lacks basic organs like heart, brains, kidneys, etc. They do possess a couple important items including a digestive sack (stomach) and stinging cells called nematocysts. This phylum contains all the anemones and corals, which can be very similar to jellyfish. Jellyfish are very similar to anemones. Looking at their life cycle you can see that they go through the same development and processes, only they spend a different amount of time in each stage. I like to use the analogy of caterpillars and butterflies. A species of butterfly may be able to live for many months as a caterpillar and then following metamorphosis spend just a couple days as a butterfly. On the other hand, a butterfly may spend just a couple days as a caterpillar, but then spend several months as a butterfly. This is very similar to jellyfish and anemones. Jellyfish have a life cycle that basically includes the male and female system of spawning, larvae, settled polyps, juvenile medusa stage, and adult medusa. The adults are the free floating large medusa stage, which is what most people think of when you hear the word jellyfish. These medusas are usually one gender and they will spawn with other jellyfish sometimes releasing eggs and sperm into the water column. At other times the male will release sperm, which the female collects and uses to fertilize the eggs she is holding. The fertilized eggs begin to develop and eventually become free-swimming larvae. These larvae settle onto a substrate and grow into polyps. The polyps can grow and spread and develop in an asexual manner for several weeks. If conditions are right, these polyps bud off and asexually produce little jellyfish which are called ephyra. The ephyra are roughly 4 millimeters across and swim through the water and eventually grow into larger jellyfish to complete the cycle. Crystal jellyfish are successfully kept in public aquariums. It is certainly plausible to think they could be kept by home aquarists, but this is a new frontier in aquatic husbandry. 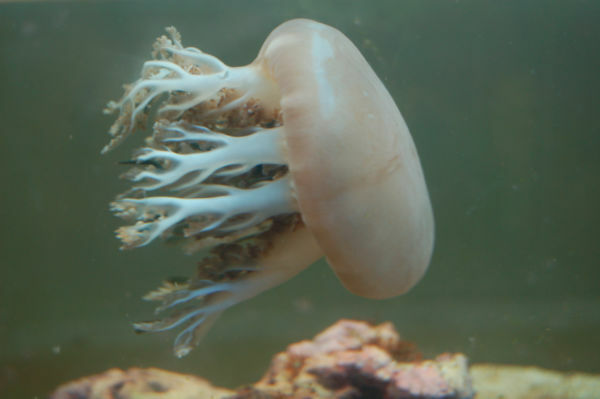 Shown here an aquarium with a gentle current is being used to grow moon jellyfish polyps. These polyps are settle onto acrylic plates where they grow and divide. This life cycle is very similar to corals and anemones, the main difference is that jellyfish spend a longer amount of time in the free-floating medusa stage, and can spend a very short period of time as polyps. Some jellyfish will spend several months as polyps, but they are difficult to see and are usually not displayed in aquariums. Many anemones spend a long length of time as polyps growing on the substrate, but most have a very short free-floating larval stage. There are many variations in the amount of time jellyfish spend in each stage, cues to cause them to strobilate (convert from polyps to free-floating animals), reproduction systems, etc. If you’d like to know more or discuss these items on a particular jellyfish, please contact the author of this article at adamblundell@hotmail.com. Blue Bell jellyfish are readily available in the aquarium trade. Many hobbyists have successfully kept these beautiful animals. Like all other jellyfish these animals need an aquarium free of intakes and overflows where they become stuck and injured. Moon jellyfish is a funny term. It is used by some people to describe pelagic jellyfish, but most use it for the particular a group of jellyfish from the Aurelia genus. There may be close to 20 species in Aurelia, and to be honest I can’t tell them apart. These jellyfish usually have very large translucent bells (even up to 15 inches across! ), small, short tentacles, four gonads and slow, rhythmic pulsing. 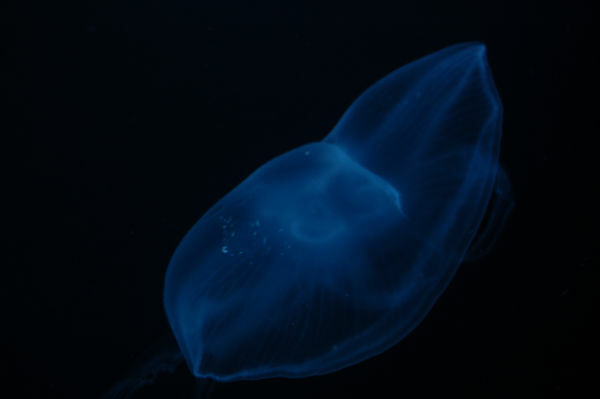 The most readily available moon jellyfish species for is Aurelia aurita. The moon jellyfish are found worldwide. They live in tropical warm waters, cooler temperate waters, and even into cold water systems. They drift along in ocean currents and are not contained to reef settings. For this reason they can drift hundreds if not thousands of miles and their offspring are far reaching. Two species of the moon jellyfish are available to hobbyists. Aurelia labiata is a species of moon jellyfish naturally living in the temperate waters off of California. Given the great number of hobbyists and public aquariums in California these animals are sometimes found in the hobby and on display. They are not readily available for purchase, but are readily available for collection by the more outgoing aquarists. If you’d like to keep Aurelia labiate my advice is to keep a chilled aquarium of roughly 50 degrees, and to contact a public aquarium in California as a potential source of jellyfish. Some of them have literally thousands of small medusa jellyfish on hand at all times. The other species of moon jellyfish we see are the Aurelia aurita. These jellyfish are found in warmer waters and I’ve personally seen many of them on reefs with temperatures around 80 degrees. For this reason, I much prefer them. They are typically an easier to keep jellyfish, if there is such a thing, and may not require a chiller in the system. Ideally I’d recommend keeping them in aquariums around 79 degrees. These jellyfish are always available for purchase from places such as www.SunsetMarineLabs.com. Sea nettles are fascinating jellyfish. Their long tentacles are mezmorizing. These animals are not recommended for beginner hobbyists, but they are successfully kept in captivity. For experienced jellyfish keepers these animals are fantastic candidates for further studies and aquariums. Moon jellyfish can make wonderful aquarium inhabitants. Several hobbyists have had success in not only keeping jellyfish but breeding them and completing their life cycle. These animals are not only successfully kept in home aquaria, but they are collected at incredibly low numbers from the wild with no effect on wild populations. 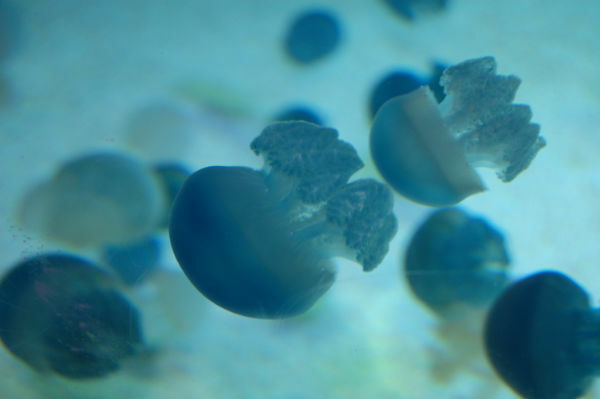 Keeping jellyfish is a fantastic source for gaining knowledge and furthering our understanding of them, and advancing jellyfish husbandry in foods, filtration, system design, grow out and more. In general jellyfish love to eat Artemia nauplii. Which is to say that that they love to eat newly hatched baby brine shrimp. In addition to this, copepods, shrimp, chopped seafood, and zooplankton are also important food sources for jellyfish. Fortunately, there are people harvesting and raising foods for jellyfish on a daily basis, and those foods are available for purchase. The frozen foods are highly nutritious and very convenient to use. But culturing techniques and experiments with other commonly available prepared foods is still on the horizon. What Do Moon Jellyfish Need? Moon jellyfish need a few basic items. They require gentle water flow to keep them suspended and to allow their tentacles (equipped with the familiar nematocysts) to capture food. This is usually accomplished by creating a kreisel or pseudokreisel aquarium. 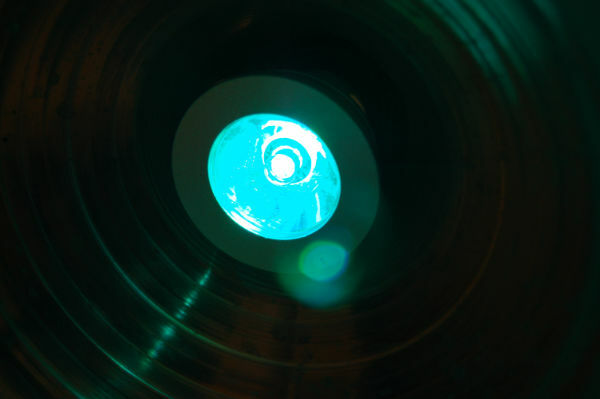 The term kreisel comes from a German term meaning spinning or rotating. These aquariums feature circular flow that keep the jellyfish slowly moving around without hitting pumps, screens, aquarium sides, etc. The jellyfish needs the space in the water to properly expand, and it needs the flow to gently bring food items to it. The type of food consumed by jellyfish is currently being explored, but some commercial foods are available. Visit www.SunsetMarineLabs.com to see the process of making your own food, or to purchase theirs. In general, jellyfish eat small copepods and protein-rich organisms swimming in the water column such as juvenile shrimp (krill), brine shrimp, and a plethora of pelagic copepods. The jellyfish most commonly kept in aquaria are fed a mixture of brine shrimp, copepods, phytoplankton (to feed the zooplankton) and finely chopped seafood. Private companies have developed and are continuing to develop and produce their own blend of foods for jellyfish, but experimenting with other readily available foods may lead to great success for adventurous hobbyists. With the ever growing availability if prepared foods for the aquarium market there are always new foods that may be well suited for jellyfish. Take note- not all jellyfish eat foods that can be so easily prepared. Some jellyfish even live by eating other jellyfish. For this reason it is important to know what your jellyfish naturally prey upon before selecting them for your aquarium. The Aurelia moon jellyfish are a good choice since their nutritional needs can easily be met. Shown here a large moon jellyfish photographed in the warm Caribbean waters. This jellyfish is over a foot in diameter! Jellyfish also need very clean water and stable water chemistry. This is usually accomplished by standard aquaria filtration methods, and frequent water changes. The filtration found on most jellyfish aquariums includes a biological filter bed of bacteria. This is usually located in the sump and often times use the “old school” trickle filter and bioball design. More recent aquariums use sponge filters, floss, and sand beds. Some filtration methods are up for debate. Removing detritus and waste can be accomplished with filter socks and protein skimmers. 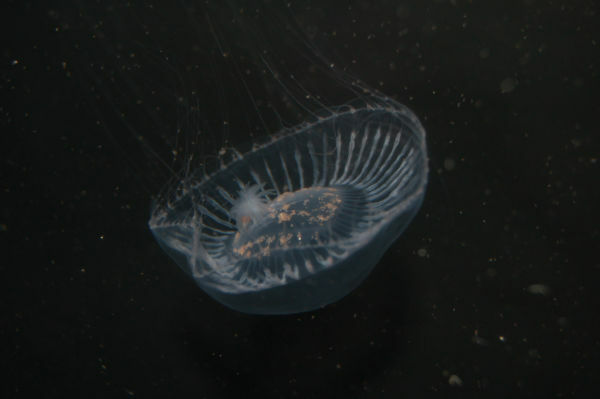 However, some experts including Chad Widmer, have argued against these filtration techniques as they may in fact be removing items that would be food for the jellyfish. In that scenario, it would be better to keep those items suspended in the water allowing the jellyfish more time to capture and consume the foods. Another added benefit of a sump and trickle filter is the increased gas exchange. Anytime you have water breaking apart and moving with air you’ll have great gas exchange. Temperature ranges for most jellyfish are lower than that of tropical aquariums. While most hobbyists are familiar with a 74 to 82 degree Fahrenheit range they keep their fish at, moon jellyfish are often found in waters in the 50 to 70 degree range. This can be a challenge as chillers are not nearly as common in the hobby as heaters, and it is difficult to keep aquariums cooler than the surrounding room. In most homes it is easy to keep an aquarium at 78 degrees Fahrenheit, but it takes some work to keep them below 70 degrees. I’ve seen aquariums kept below 70 degrees using only fans for evaporative cooling, but if this isn’t possible with your set up then a chiller may be in order. Keeping the jellyfish aquarium in a basement or cooler part of the house is also a good idea. Number 1 is light. 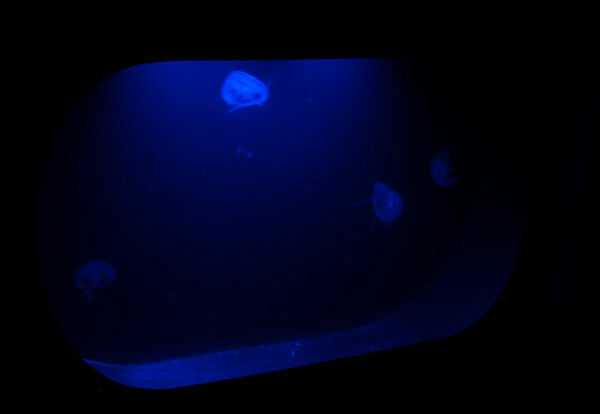 Unlike most aquariums and certainly most reef aquariums, most jellyfish tanks can be dimly lit. In the case of moon jellyfish this is an advantage as the lack of light reduces the problems of algae and diatoms and other aquarium nuisances. Unlike many other cnidarians, there are many jellyfish species that are not photosynthetic and obtain all of their energy needs by feeding. There are some jellyfish that do utilize photosynthetic zooxanthellae. Jellyfish such as the upside down jellyfish (Cassiopea spp. ), which typically inhabit sandbeds in warm, shallow water and need a high amount of light to survive in captivity. These jellyfish have been kept by many hobbyists within their sandy, muddy or seagrass tanks and reeflike aquariums. Some jellyfish can sense light or “see light” but are not dependent on it for survival. 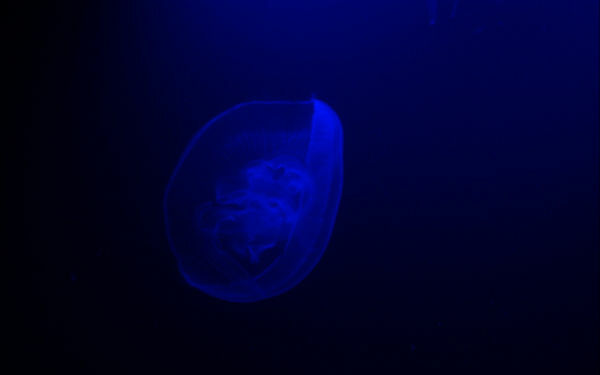 The jellyfish making their way into the hobby today are typically moon jellyfish and do very well in dimly lit systems. Color changing led lights like those shown here are become popular with moon jellyfish aquariums. These lights illuminate the animals and give them an aesthetic glow. The Upsidedown jellyfish is very common in the aquarium trade. It is photosynthetic and does very well in sandy or muddy bottom aquariums with heavy lighting used for photosynthesis. Jellyfish also do not require much oxygen. Being animals, jellyfish do need oxygen to survive, but they don’t need highly oxygenated water with heavy gas exchange. Most jellyfish systems feature a slow moving current and rely on passive oxygenation, meaning the oxygen slowly dissolves at the water-air boundary layer without air being pushing into the water. This usually occurs in the overflow or in the sump area as the water passes through biological filters. Not needing heavy amounts of oxygen is also beneficial because it allows a hobbyist to design a system without air bubbles, which is important because air bubbles can be damaging to most if not all jellyfish. Most jellyfish systems are also well maintained with very little filtration. Most all professional systems utilize a trickle filter, but these are very uncommon in most current hobbyist systems. As was mentioned earlier, it has been recommended by many experts to not use filter socks or protein skimmers on jellyfish aquariums as they may remove potential food from the water. Thus the aquarist is faced with the most challenging aspect keeping jellyfish: providing clean water while also providing a constant source of planktonic food. Dirty water. That seems obvious for just about all marine organisms but it certainly holds true for pelagic or free-swimming jellyfish. Moon jellyfish need water that is free of organics and degrading nitrogen compounds. 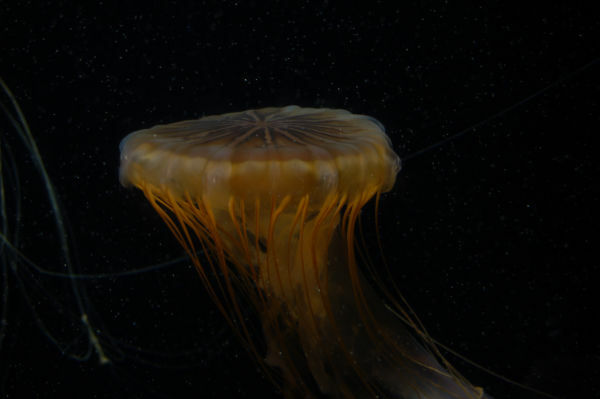 The main culprit in jellyfish dying in aquaria is thought to be elevated levels of ammonia. Additionally, jellyfish can do poorly with other stinging animals like various hydroids. Some public aquariums use a routine system of completely draining and disinfecting their jellyfish systems regularly. This practice is typically not followed by commercial systems or by home hobbyists. As previously stated, air bubbles can also be detrimental to jellyfish. 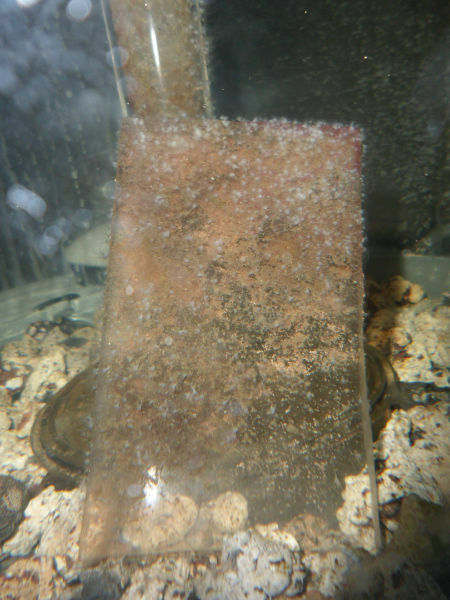 Microbubbles commonly found in aquariums with protein skimmers are certainly inadvisable. These bubbles can become entrapped within the tissue of a jellyfish severely damaging the respiration, feeding, and locomotion abilities of the jellyfish. And most importantly, it seems that moon jellyfish cannot be kept in an aquarium with objects. They are fragile, slow moving, unable to see dangers and unable to get away. Nearly anything that can be placed in the aquarium is a hazard to jellyfish, even the corners of the aquarium. For this reason, kreisel and pseudokreisel tanks are used to provide rounded corners and continuous, slow current. Building an aquarium like this has been done before, and a quick Internet search can help you with examples. But keep in mind, constructing a tank like this makes for a fun, involved do-it-yourself challenge and is not for everyone. 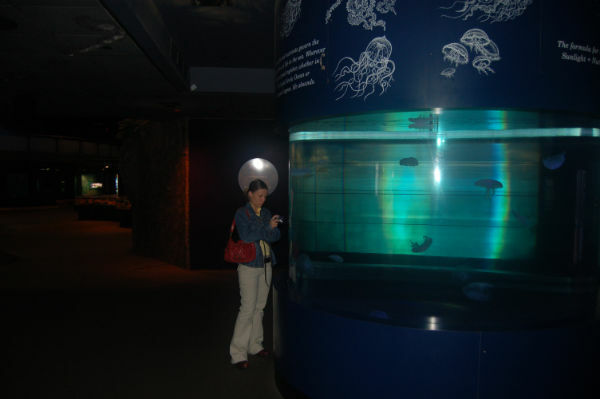 Public aquariums often feature jellyfish tanks. These aquariums are very popular with visitors. Building a system for moon jellyfish can be a challenge, an exciting project, a hobbyist’s dream or a daunting task. Moon jellyfish are typically kept in kriesel or pseudokriesel aquariums. Kriesel comes from the German term for spinning, as these tanks feature water moving continuously around in a spinning motion (like a washing machine, or a top). These aquariums are sometimes round, cylindrical or shaped similarly without corners and edges. More commonly these aquariums are made by constructing a curved inner wall of an aquarium that is between two flat planes for easy viewing. The pseudokriesel tanks are more common today and basically feature a “false spin” system where water is moving in and out of the aquarium for filtration, gas exchange, etc., but the tank appears to have a steady circular flow. One of the pseudokreisel aquariums I built used a 40 gallon aquarium and a flexible piece of thin acrylic. I bent the acrylic sheet around into a circular shape and used silicone to insert it into a rectangular aquarium. With an opening for a drain (screened off) and a return spray bar I was all set. This takes some practice and there are some important tricks to keep in mind. First of all, the drain area needs to be very large so that the flow through the screen is very small. Don’t underestimate the importance of this, because jellyfish will always stick to a screen if the water if flowing that direction. To help keep jellyfish away from the screen, most pseudokreisel aquariums use a spray bar for the return, with the flow directed across the filter screen. This design keeps jellyfish away from danger by gently pushing them away from the screen. Jellyfish are an exciting new realm in the marine aquarium hobby. Some species are very challenging and yet to be seen in the hobby. Other species have been shown to be well suited for captive care and they are a welcomed addition to the hobby. Not only are jellyfish aquariums now available for purchase, but creating and building your own system is also an exciting project. All systems are unique and should be designed according to specific size, space, filtration, feeding and care requirements. The size of the aquarium will help to determine the types of jellyfish you can keep. The physical length and width of the tank will determine how much flow is needed. Also the number of jellyfish being kept will determine the amount of filtration needed. If you’d like to discuss these items and get advice on your specific system please contact the author of this article at adamblundell@hotmail.com.